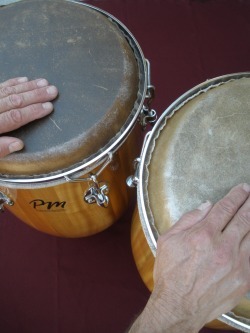 A 3-piece set, with supertumba unfinished at this point, without crown. 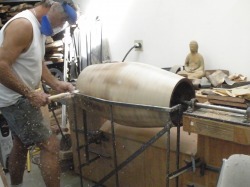 All drums are coated with a clear finish. 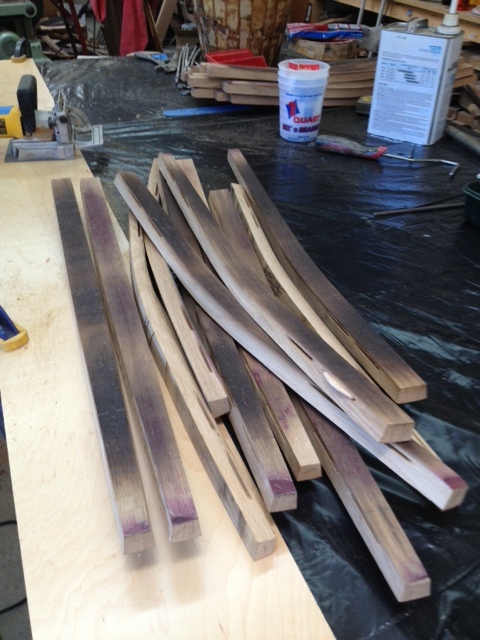 The color of the wood naturally darkens with age so this will be an excellently matched set. I'm very careful in choosing materials for heads. Originally I chose the finest cowhide but I have switched to bullhide because the thickness and density greatly enhance the quality of the sound as well as the playability of the drum. 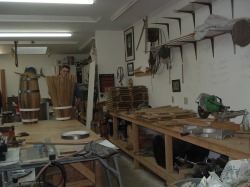 These drums produce an organic sound not found in fiberglass drums with composition heads. 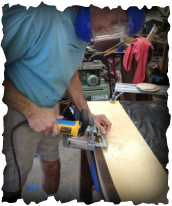 Peter bends the wood staves, as well as the metal, and makes all the fittings and hardware in his shop. 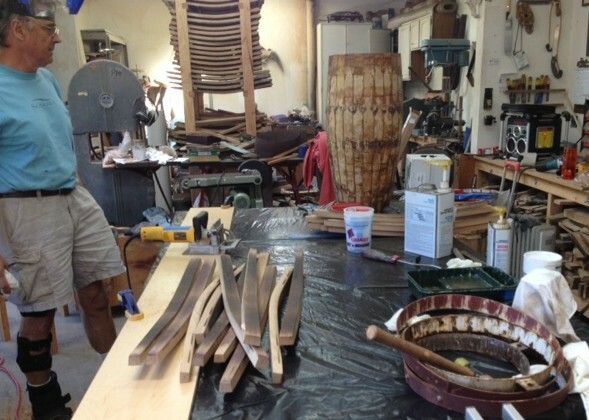 He prefers a simple, clean look that doesn't detract from the beauty of the wood and design. 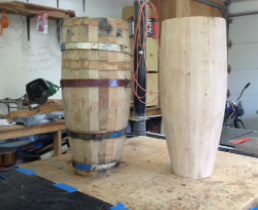 The initial shape is fine tuned on the lathe. 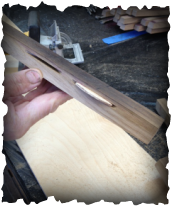 Oregon Pepperwood offers beautiful natural designs. 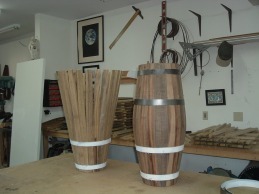 In the tradition of the original master drum makers of Cuba, I re-purpose used wine barrels to create these fine drums. 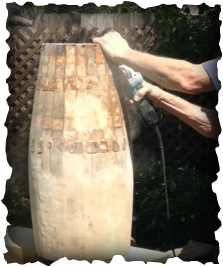 This picture shows the beginning of reshaping the staves from a wine barrel into a drum..
All my external hardware is stainless steel so that plating will never peel off -- and after a hundred years it can be re-polished and look brand new! 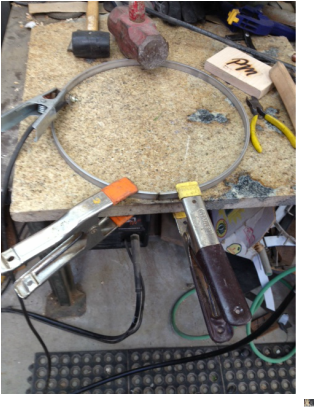 The photos below show part of the process of making a rim.. Cutting the biscuit pockets for insuring the integrity of the shell.